I have been planning on making a big needle blanket for months. I have so much fisherman's colored Lion Brand Wool-Ease yarn that I wanted to dye it so I wouldn't end up with a second cream afghan. To prepare the yarn I allowed it to soak in plain water until the yarn was thoroughly wet. I let some soak overnight, but that length of time is not necessary. 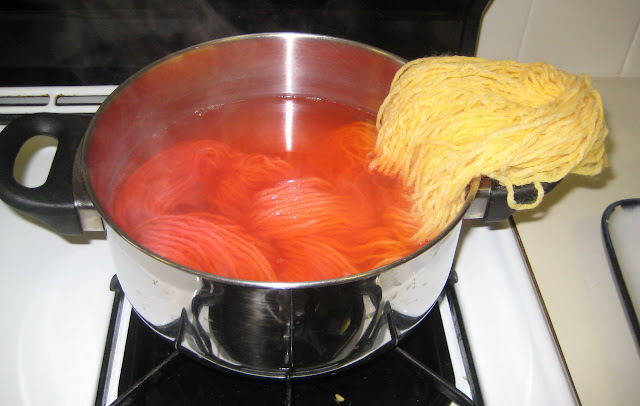 It would help to bring the dye bath to a boil before adding the yarn, this way when the yarn is absorbing the dye you can keep it on a low heat to prevent burning. 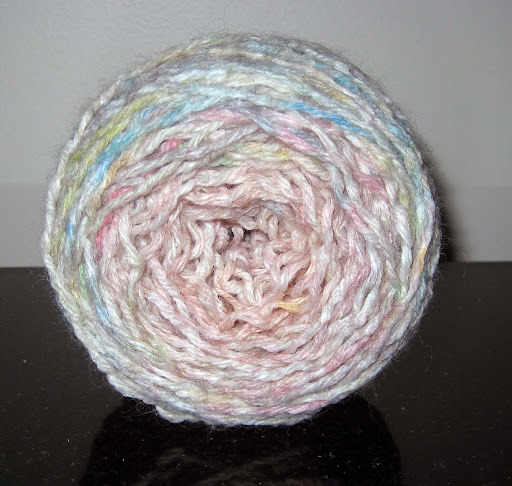 Additionally, since this is a machine washable wool blend, felting is not a concern. Too much heat and agitation can change the texture of this yarn, but you you don't need to be as careful as you would if you were stove-top dyeing 100% wool. 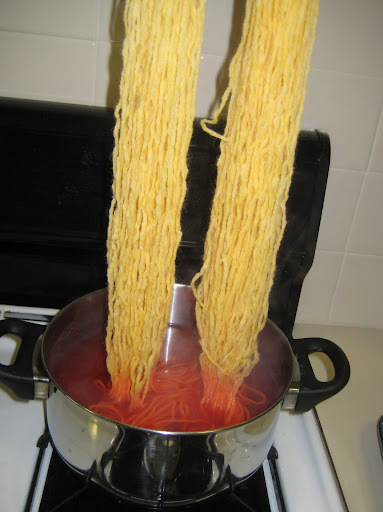 I let two skeins simmer in the color bath until the water ran clear. The dye bath does not need to come to a rolling boil, some heat is enough for the color to absorb. 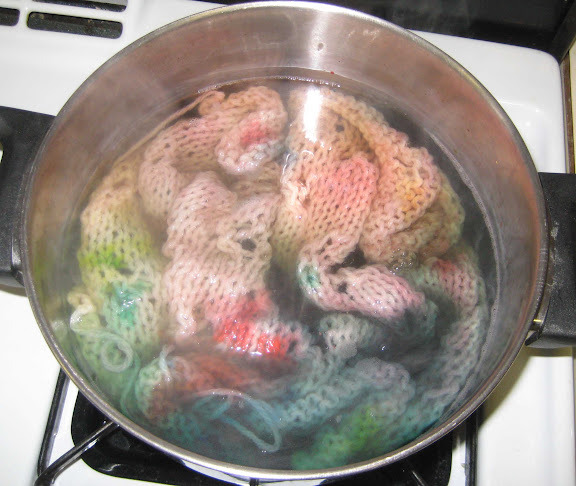 Allow the skeins to cool completely (you can remove them from the dye-bath to speed up this process). Wash the completed skein in mild soap and luke warm water. Hang to dry. Add 10 drops red, 5 drops yellow food coloring. Bring the dye-bath to a boil, then turn off the heat. 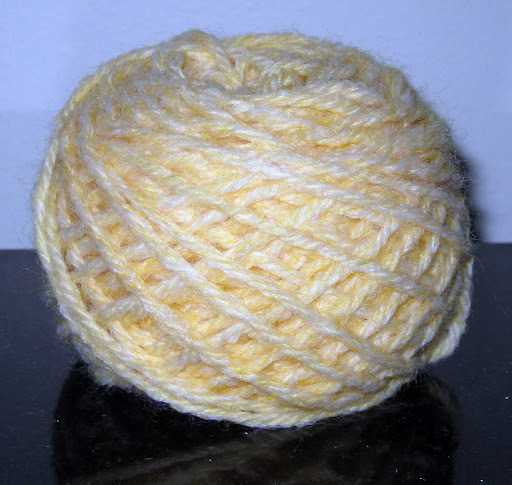 Using a skein that has been pre-dyed yellow, dip an end of the skein into the bath and wait 1 minute. 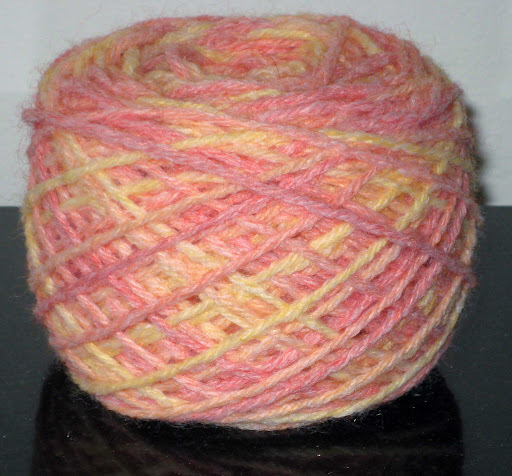 Slowly, minute by minute, increase the amount of yarn that is in the dye-bath (about 1/4 of the skein at a time). Do not dip the final yellow portion. The dye-bath will not run clear because you want the later dipped sections to have a lighter orange color, and you're not going to let it soak that long. 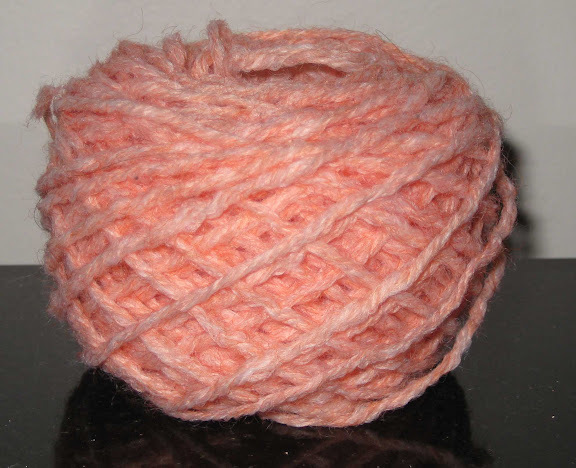 Remove the skein from the dye-bath and allow it to cool. Wash the completed skein in mild soap and luke warm water. Hang to dry. 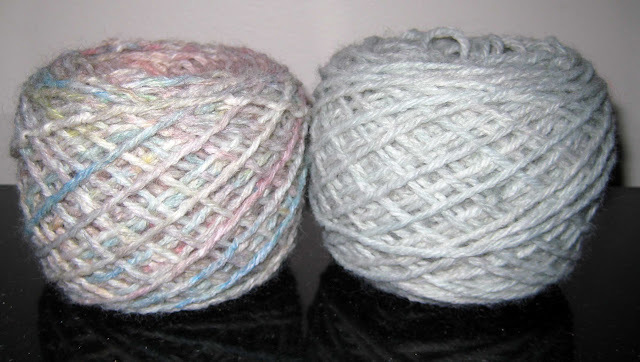 Use the remaining dye-bath from above and a fresh, undyed skein. Bring the dye-bath to a boil. 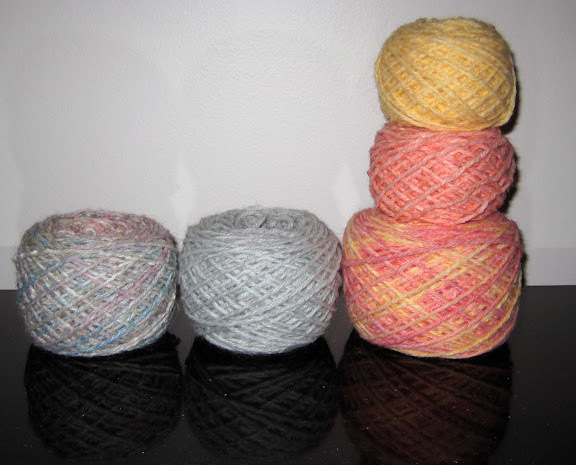 Turn off the heat, add a skein and allow the skein to sit in the dye-bath until the color is in the wool and not the water. 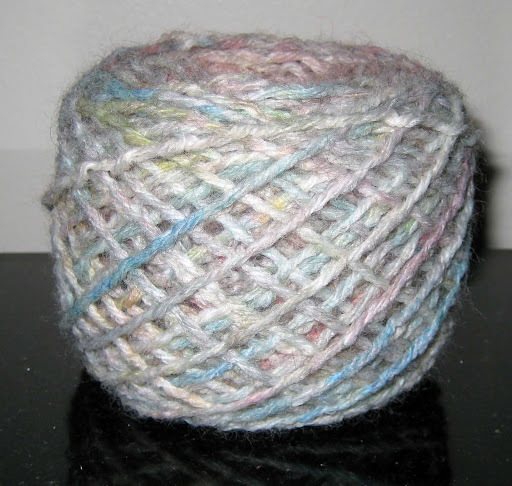 Remove the skein from the dye-bath and allow it to cool. Wash the completed skein in mild soap and luke warm water. Hang to dry. Dye-bath: Cleared water from previous dyeing (above). 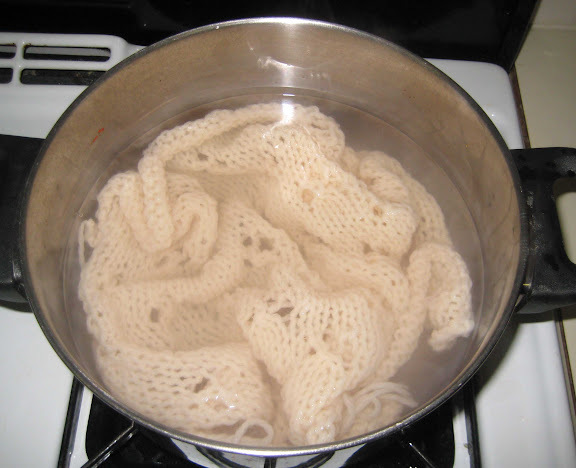 The water should still have citric acid in it and work to dye the wool. When I was making my sampler afghan, I decided to redo one of my squares. This means that I have an extra square that was already knit for me to dye! Bring the dye-bath to a boil. Dip the pre-knit square in the water, and spread it out as much as possible. Using food coloring, drop color over the square in a random pattern WITHOUT stirring the water. Allow to simmer until you see the dyebath becoming a single color. Remove the knit square and allow to cool. Wash in mild soap and luke warm water. Hang to dry. 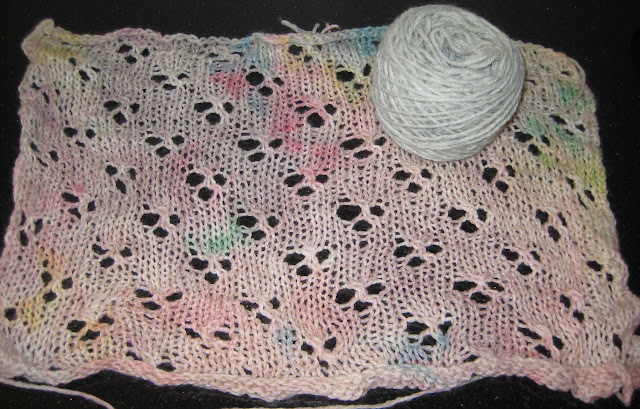 You get more of a spot of color when the yarn is closer to the surface. If you are unhappy with the pattern that you created, and want more color in a section, make a new clear dye-bath and add more color to the sections you feel need it. This square is reddish, but the remaining dyebath is blue/green. Red colors absorb to the wool first, so you could leave it in if you want colors to even out more. Unravel the square, and wind into a ball. 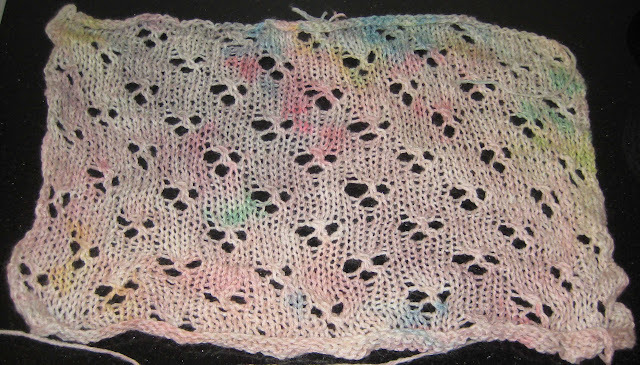 Use remaining dyebath from the dip dyeing of the square. Thank you for this. I have some Lion Brand that needs color - I was wondering how this would work. This is a help!